Hua Hin is appox 3 hours transfer time from Bangkok airport by car or minibus, so for those who don’t fancy another flight to get to resort this could be the answer. The resort has grown from a small fishing village to a busy town, with many hotels, shops bars and restaurants. Unlike Phuket, Pattaya and Koh Samui, Hua Hin has a more relaxed feel, the average age of travellers here is slightly higher than the other resorts hence the nightlife is more low key and definitely less sleazy. Hua Hin is a place where locals and travellers live side by side and many Thai people visit the resort to holiday (especially on a weekend, when it is very busy). The King of Thailand now resides in the ‘Summer Palace’ and you will see several Navy ships anchored just off shore when he is at home. Many European travellers make Hua Hin their winter home staying for up to 3 months at a time and repeat guests to hotels is approx 35%. The resort has 6 championships standard Golf courses, Green Fee prices range from approx £40 to £75 and most hotels will arrange transportation and book Tee times. For those who want to explore the Night Market at Dechanuchit Road is a must see, you will find a big variety of delicious local food served for a very good price. The main town centre is busy at night. Eating out is cheap and the variety is good, drinks are also cheaper here, you can get a beer for less than £1. The resort is also in a good location to explore some of Thailand’s sights – as with Bangkok, you can book excursions to the River Kwai and the Floating Markets, both are approximately 2.5 hours transfers away, the River Kwai is still the most visited site for British Tourists. Elephant trekking is also popular and can be combined with the visit to River Kwai. 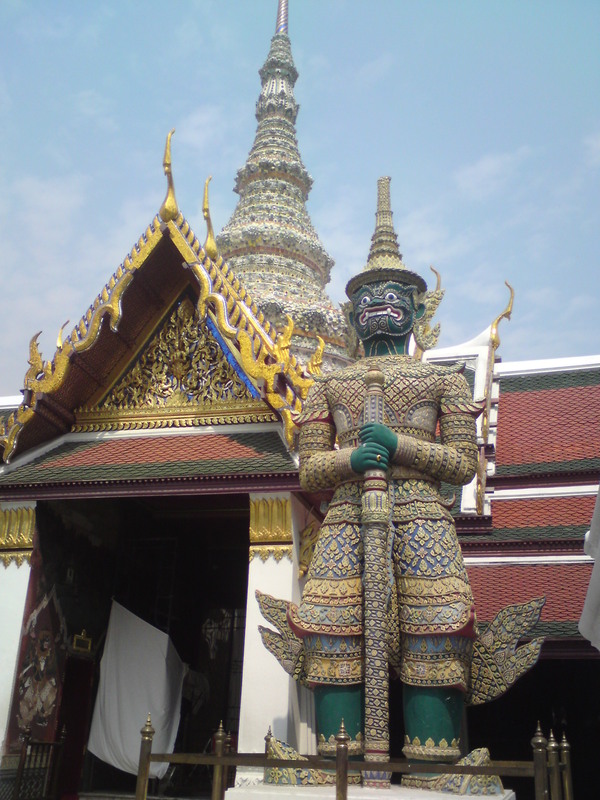 You can also do a full day excursion to Bangkok. For those who wish to see the beautiful scenery of Thailand, the trip to Sam Roi Yod National Park is stunning, just one hours drive from Hua Hin through coconut and pineapple plantations you can visit a typical unspoilt Thai village and then travel to a nearby beach to explore the fascinating sea caves, you can also Kayak through the mangroves should you wish. As with all Dusit hotels this property does not disappoint. The lobby is magnificent; a 10-foot glass chandelier hanging over a glass water fountain dominates the entrance. All guest rooms are elegantly appointed and offer all the usual amenities with modern and comfortable styling alongside subtle Thai touches. Grande Rooms are larger and have an additional sitting area and roll top bath that opens out into the bedroom area. Guests who stay in ‘Club’ rooms and above have access to the Club lounge, where snacks and drinks are available throughout the day and cocktails are served free of charge from 5.30pm until 7.30pm each day. The hotel has 4 excellent restaurants, which is good news should you not want to make the 15-minute journey into town. The themed buffet nights are marvellous value with a great atmosphere as many guests gather together to enjoy the feast. The resort also features a spa, well equipped gym, a sports centre offering tennis, squash, yoga and aerobics classes and a very well appointed changing room with Jacuzzi, steam room and sauna. From experience I can say that the Spa is great value for money and a wonderful treat whilst on holiday. The General Manager Victor’ is a true professional, he has been at the hotel since it opened nearly 20 years ago, he enjoys mingling with the guests and knows many of them by name as they have visited the hotel many times over the years. The resorts staff equally attentive and nothing is too much trouble. A fabulous hotel for those who want the feeling of a home from home! The Sofitel Centara is in a brilliant location in the centre of Hua Hin town. The shops, bars and restaurants are all within a few minutes walking distance, making this hotel a good choice for those who want 5 star accommodation but want to bring the budget down by eating out although saying this the food in the hotel is excellent, with the breakfast the best we had during the entire 2 weeks in Thailand. The hotel is over 80 years old and still retains much of the history of colonial Hua Hin. Although old the hotel has been renovated to bring it into the premium 5 star market. It has 207 rooms located in the hotel and 42 villas located adjacent to the main hotel buildings. Rooms are comfortable with wooden floors and the most fabulously comfortable beds I have ever slept in. The grounds are immaculate and very beautiful, 36 gardeners work tirelessly to trim the many hedges into animal shapes that delight guests of all ages. The villa section of the hotel was opened in 2006, all but 4 of the villas have a private pool and many have an additional bedroom that can sleep up to 2 children under 12 years old. All the villas are decorated and furnished almost entirely in white making them feel light airy and contemporary. 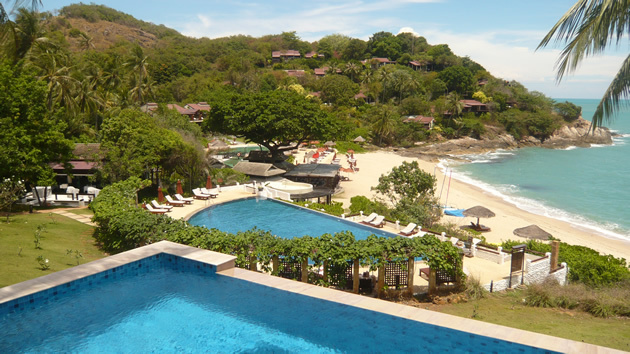 The villa section of the hotel also has a private check-in, extra pool area and a bar and all day restaurant. Overall the hotel has a relaxed feel, for a town centre property it is very well laid out and spacious all around. The ‘Rest Detail’ is located approx 10 minutes from the centre of Hua Hin. From the outside as you drive up, this hotel gives the appearance of being nothing special, however once inside and certainly once inside you room your opinion will change. Opened in April 2008, the ‘Rest Detail’ is a boutique resort of just 56 rooms. Each room has a very contemporary feel; the all white décor with just a touch of colour given through soft furnishings and jazzy hints of wallpaper plus modern lighting and gadgets give this hotel a real WOW factor. WiFi access is available free of charge in all rooms, a real plus as most hotels charge by the hour. In my opinion this hotel will suit young couples or families wanting an excellent base that still gives them access to town should they desire. The hotel has 2 pool areas and 2 restaurants.